Radial Blade Direct Drive Blowers are generally used on industrial applications for small exhaust systems where air is laden with dust or grit and also for supplying high pressure air for conveying and cooling. Constructed with straight radial blades of heavy cast aluminum for self cleaning feature, dynamically balanced and designed for efficient operation. Arc-welded 16 gauge steel housings and motor bases for rigidity and long life. Standard Radial Blade Direct Drive Blower units are furnished with open ball bearing, rigid mounted motors of either single phase capacitor-induction type or three phase induction type. Motors can also be furnished totally enclosed or explosion proof or with special current characteristics for special applications. Furnished for clockwise rotation, bottom horizontal discharge unless otherwise specified. At time of installation housings or wheels may be turned for other discharges and rotation if so desired. 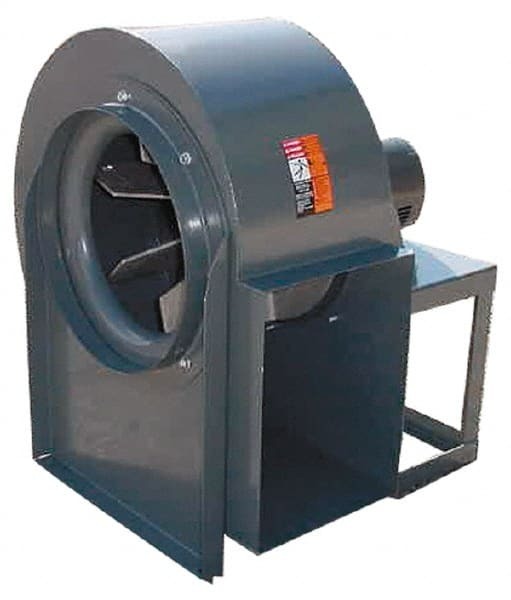 These Radial Blade Direct Drive Blowers are tested in accordance with test codes adopted by AMCA and the American Society of Heating, Refrigerating and Air Conditioning Engineers. are based on tests and procedures performed in accordance with AMCA Publication 211 and comply with the requirements of the AMCA Certified Ratings Program. rformance— CFM a31/2 4 S.P. S.P. t 3500 RPM 5 6 S.P. S.P. Performance certified is for installation type B–free inlet, ducted outlet. *NIS-CO Blowers is a trade name for NIS-CO Electric/Madison Mfg. Co.
Used on small kitchen hoods where grease filters may or may not be installed; also used where air contains dirt, lint or foreign material as wheel is self-cleaning type. Housings and bases are 16-gauge steel with welded joints. Wheels are cast aluminum, dynamically balanced and are self cleaning to eliminate unbalance or reduced airflow. Blowers are finished with baked enamel. Weather proof drive covers to cover the motor are available if unit is mounted outside. Also such extras as vibration pads, discharge dampers, acid resisting paint and other special features are available for special requirements. Standard units are built for clockwise rotation and bottom horizontal discharge. However, any rotation or discharge will be furnished when so specified. Housings and wheels may be changed if desired at time of installation to any rotation or any one of eight different discharge directions. installation. Standard units are furnished with open ball bearing, rigid mounted motors of either single phase or three phase capacitor-induction type. Motors can also be furnished totally enclosed or explosion proof or with special characteristics for special applications. 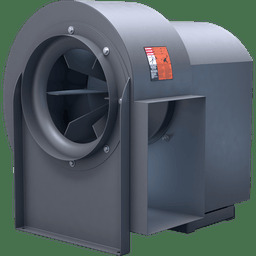 These blowers are tested in accordance with test codes adopted by AMCA and the American Society of Heating, Refrigerating and Air Conditioning Engineers. Performance— 5/8 3/4 S.P. S.P. CFM at 1725 RPM 1 11/4 S.P. S.P. *“M” varies with motor frame size. 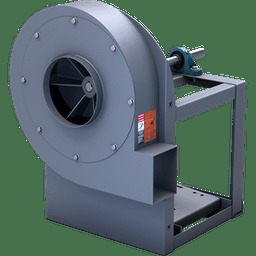 Contact Canada Fans today to find out more about our full line of world class backward inclined blowers to meet all of your industrial blower fan needs. 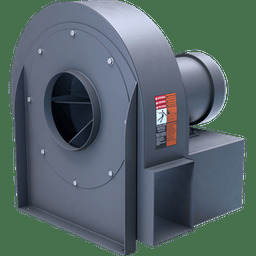 Our backward inclined blowers are used in both commercial and industrial applications and are used all over Canada and the United States. 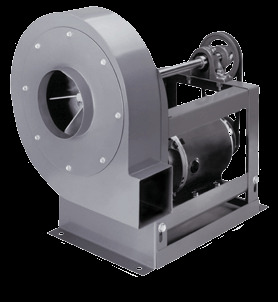 Our Industrial Blowers and Large Industrial Fans come in both Direct Drive Blower and Belt Drive Blower configurations. 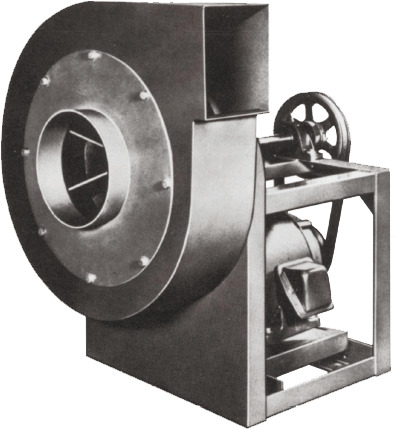 You can also choose between forward curve blowers and backward inclined blowers, depending on your needs. 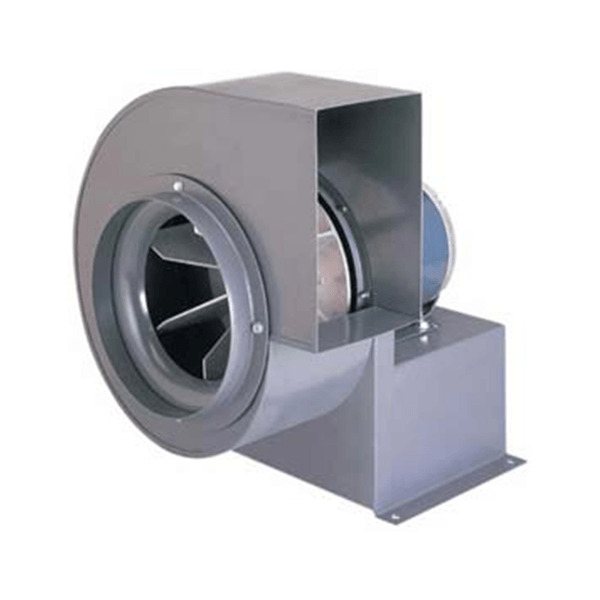 We also carry a range of centrifugal blower fans which are high rated and high temperature blowers. 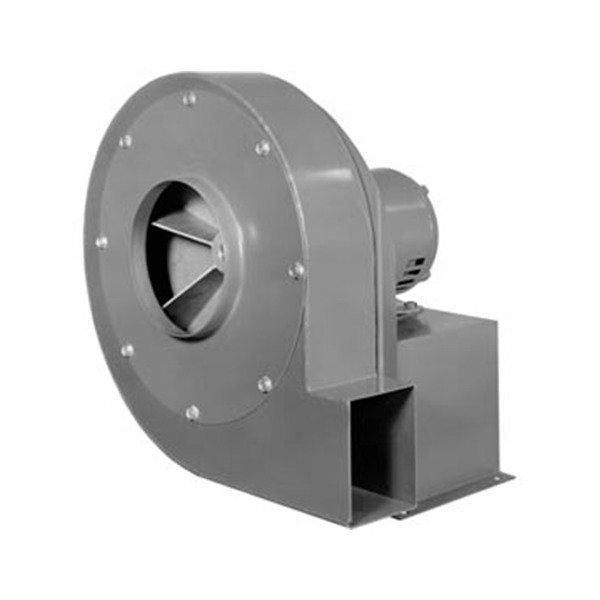 We also carry a wide range of propeller fans, plenum fans, large industrial fans which can come in both belt drive and direct drive configurations.